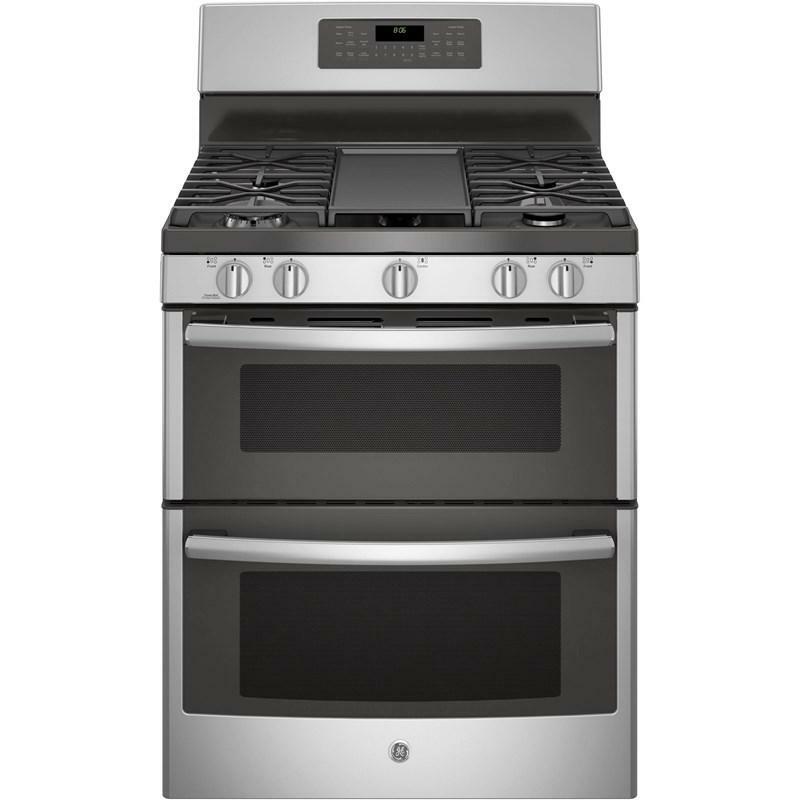 GE offers a 30" freestanding double oven gas range with a total oven capacity of 6.8 cu. ft. and a Sabbath Mode certification. 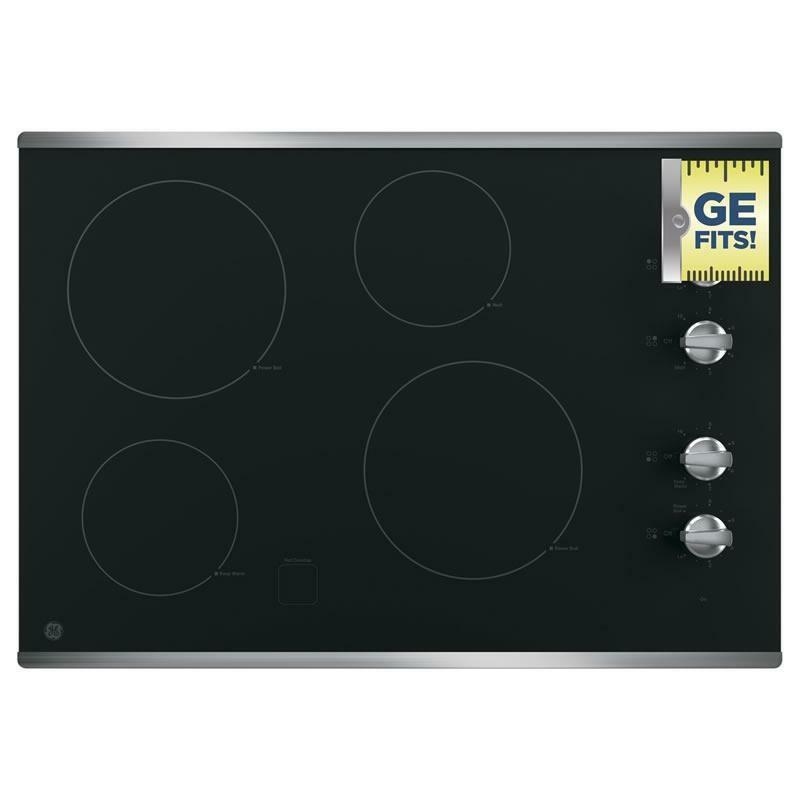 This range features edge-to-edge porcelain grey upswept cooktop and 5 sealed burners with matte black cooktop grates. 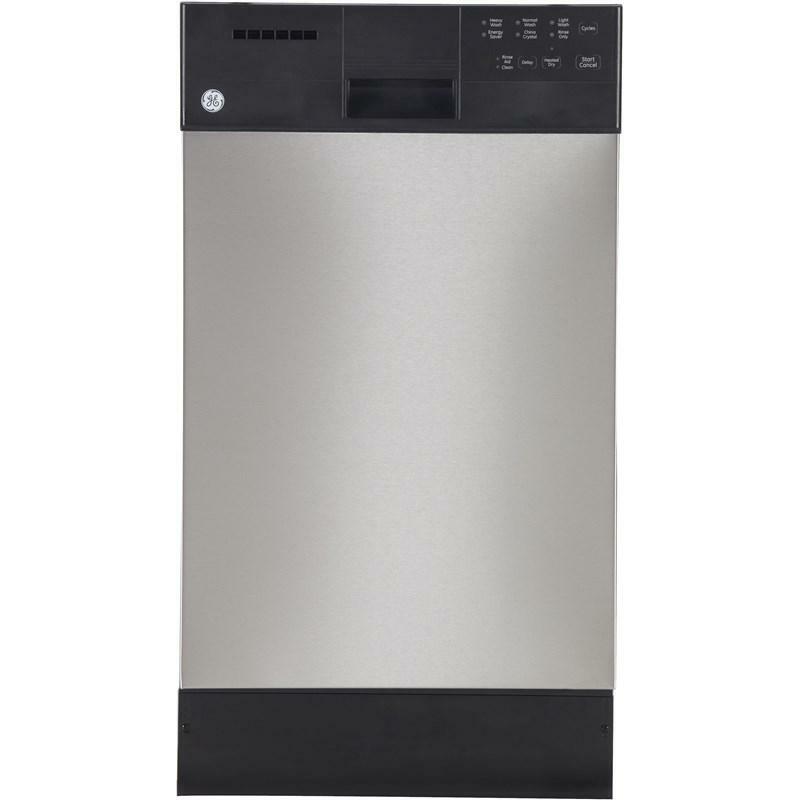 Also, the Star-K certified appliance is self-cleaning with steam clean. 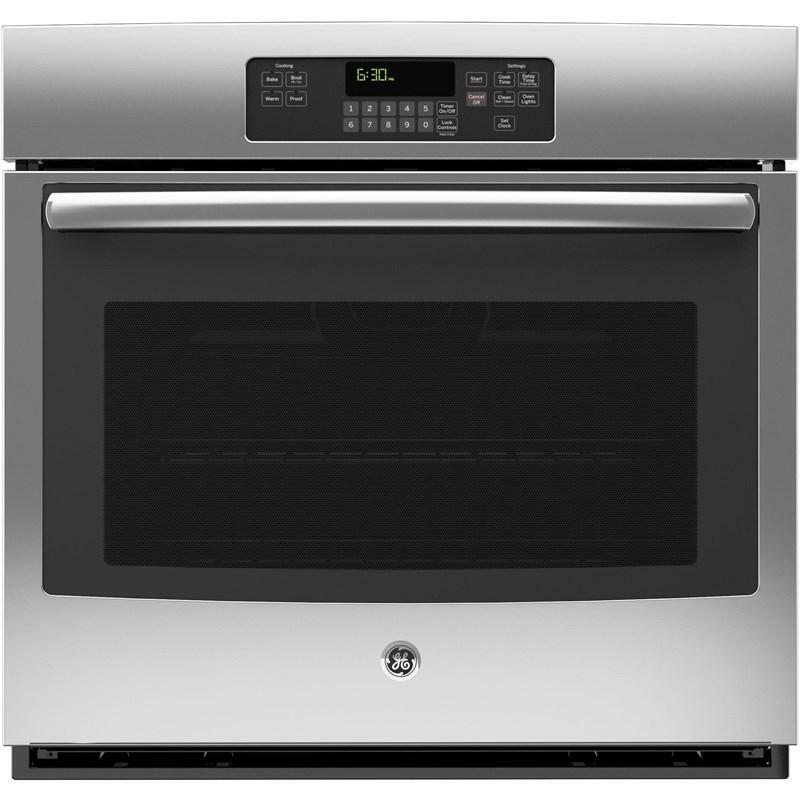 Replace the centre burner grate with the Aluminum griddle for perfect grilling and cooking for every occasion. 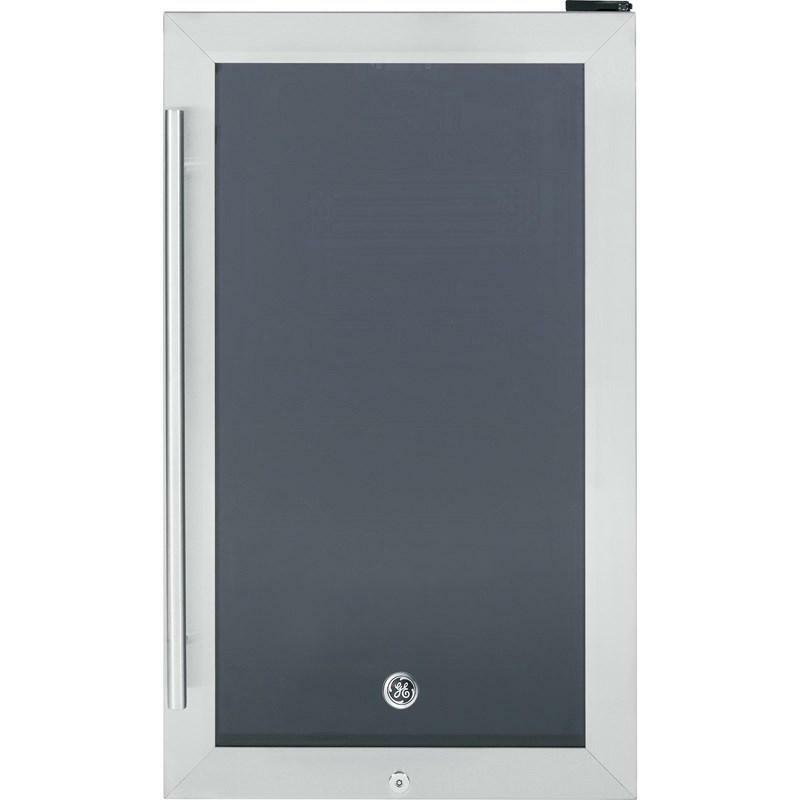 NOTE: Griddle shape may be different than shown. 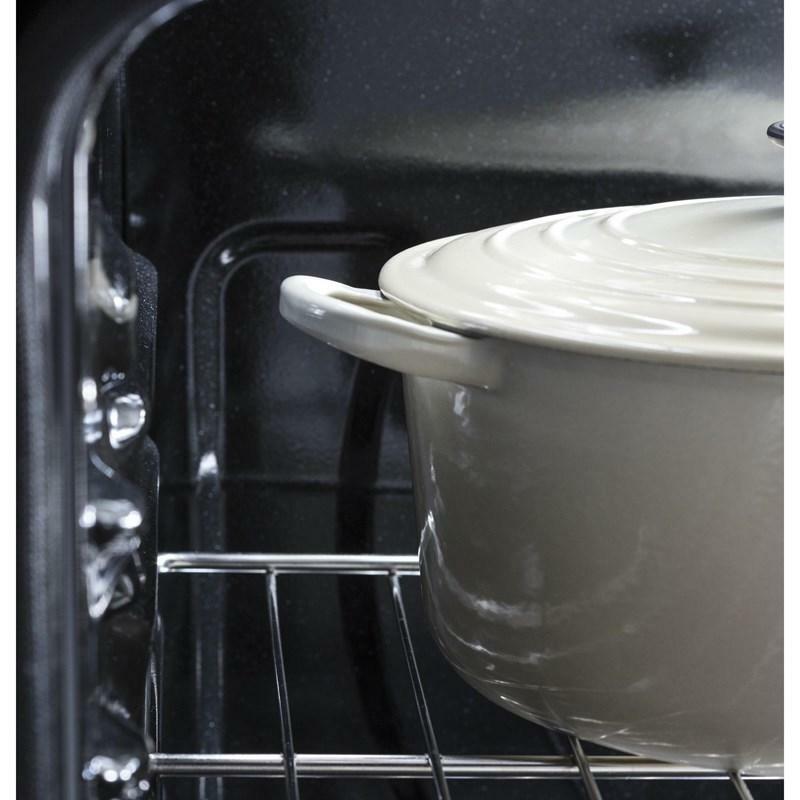 Helps contain spills from dripping beneath cooktop for easy clean-up. 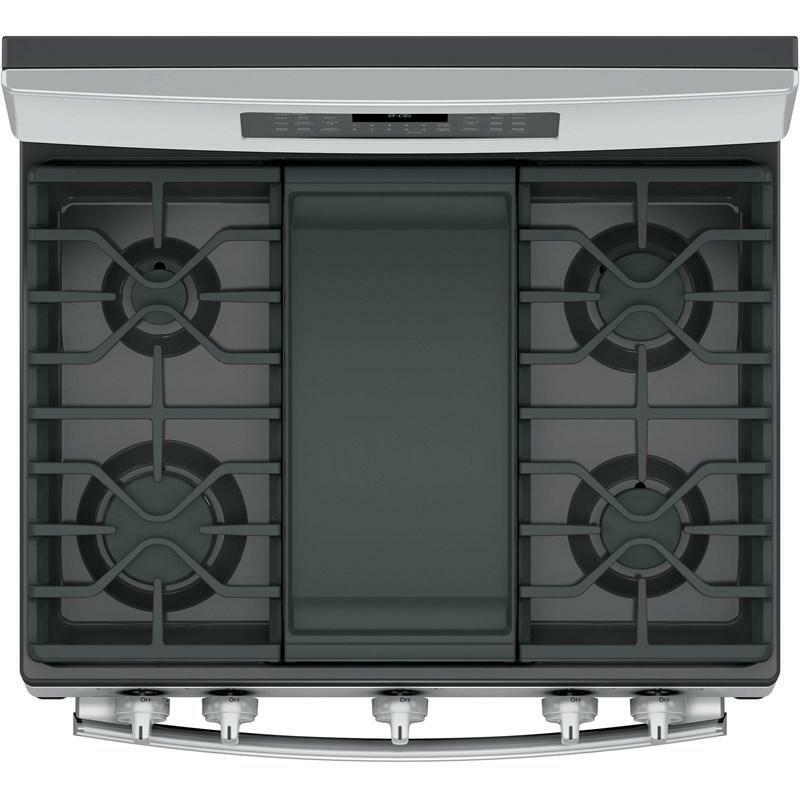 Sealed gas burner controls let you adjust flame height for various cooking needs. 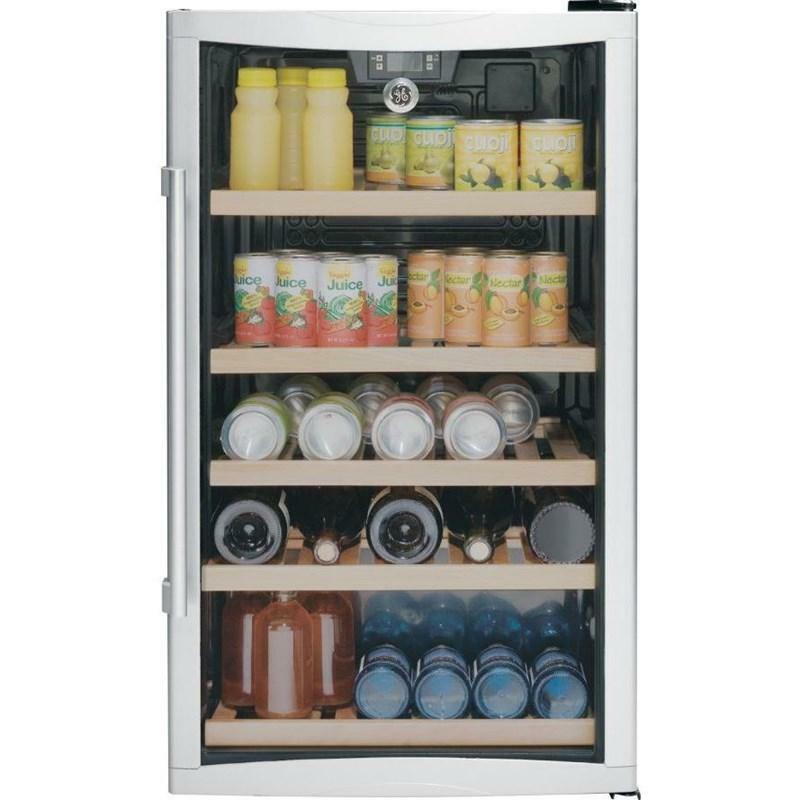 A smooth glass design that is easy-to-operate and easy-to-clean. 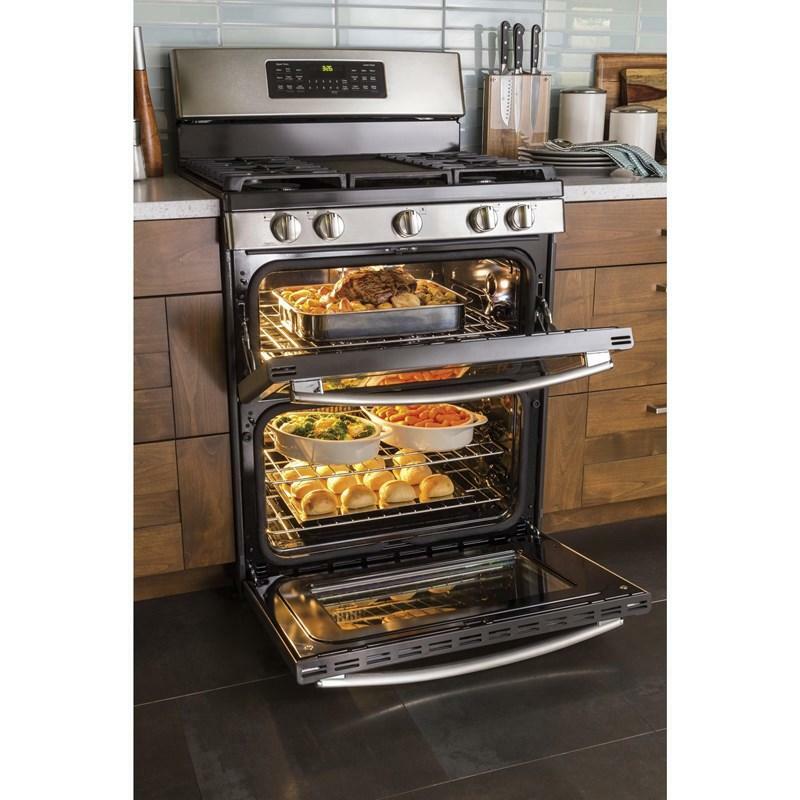 Additional Dimensions • Depth With Oven Door Open 90 Degrees: 44"
• Interior Dimensions - Lower Oven (w x h x d): 24" x 15" x 20-5/8"
• Interior Dimensions - Upper Oven (w x h x d): 24" x 9-1/2" x 19-1/8"
Built-in 18-inch dishwasher features a stainless steel short tub and rinses aid dispenser with indicator and adjustment. 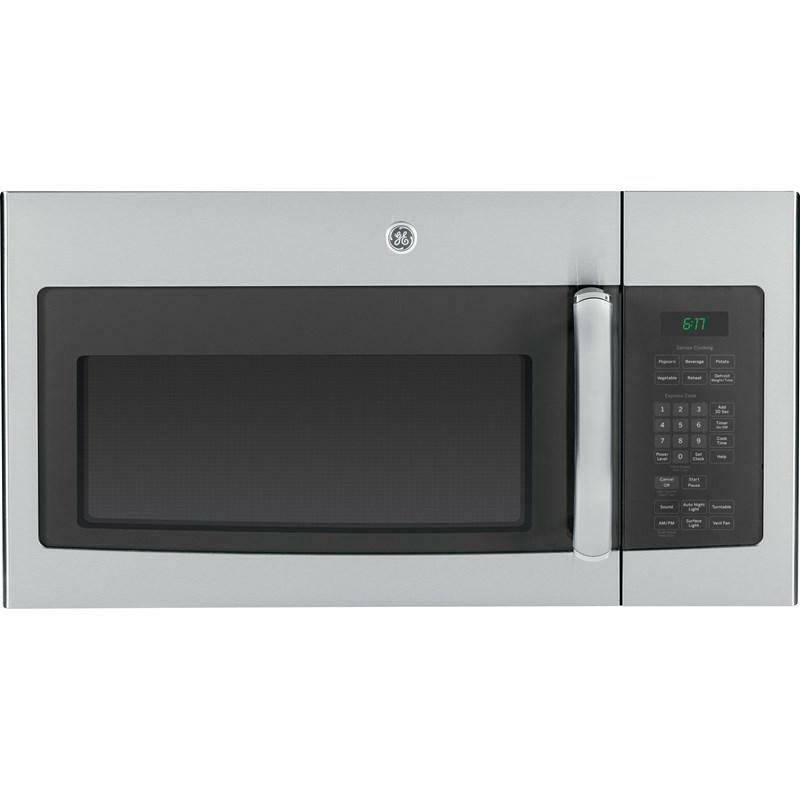 It also offers electronic controls and 2-digit led display countdown. 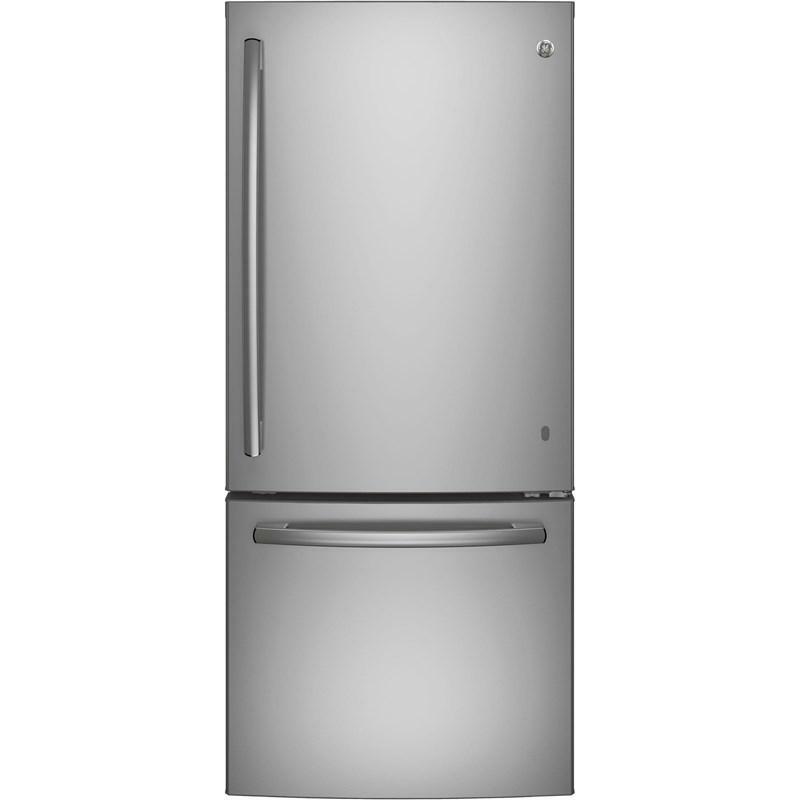 Total: 20.9 cu. ft. / 0.59 cu. 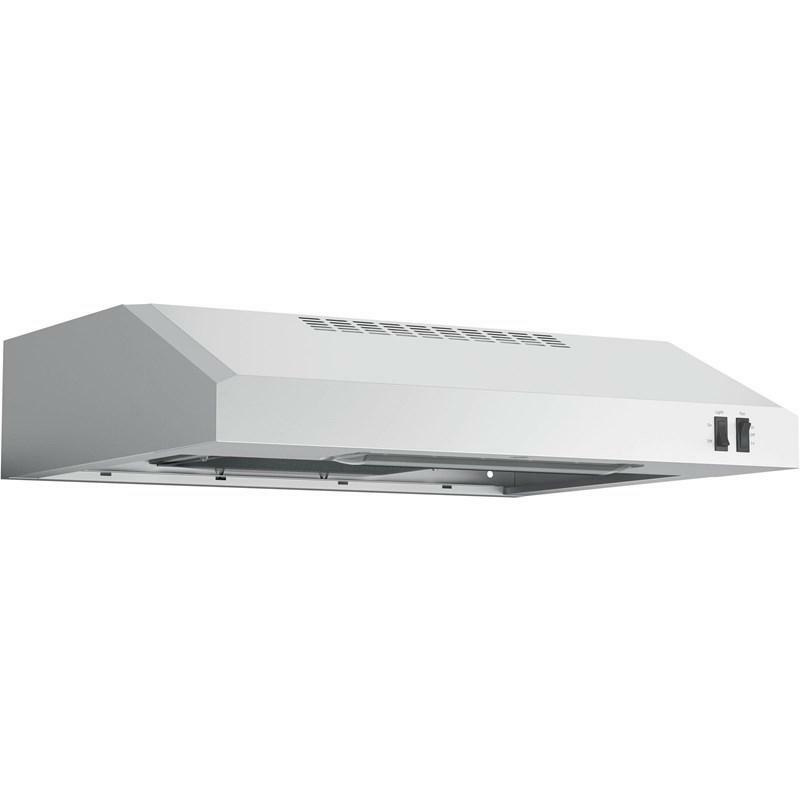 m.
GE 24" under cabinet range hood features 2 speeds, 200 CFM, on/off light controls and dishwasher-safe filter.